If you’re a public high school student in Philadelphia, you can join the Philadelphia Student Union. It’s free to join. The only requirement is that you’re passionate about working with other students to become a leader who can improve schools. If you’re an adult that works with young people, encourage them to get involved and bring them and their friends to a meeting. No matter what you do, you should join our mailing list (Fill out the form on the right). We’ll email you once or twice a month with updates on our work and ways to get involved. 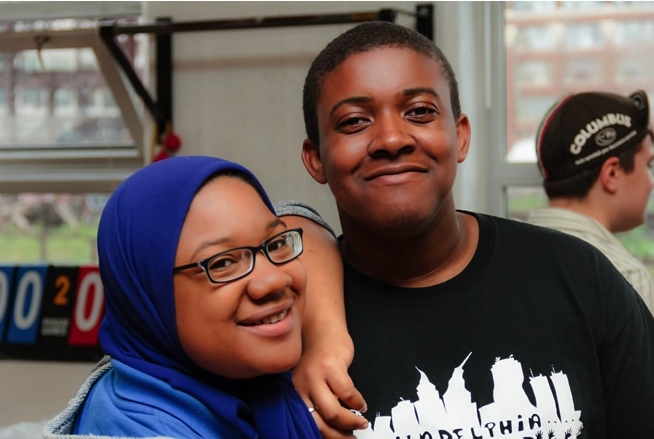 If you’re interested in helping us fundraise, have a technical skill you want to share with our staff or students or are interested in being on our board you can email julien@phillystudentunion.org. Click here to learn if you go to a school where we have a chapter. If you go to one of our chapter schools you can go to a chapter meeting. If your school doesn’t have a chapter, come to a citywide meeting. Middle school and high school students are also welcome to use our computers to get on the Internet, do school work, or search for jobs and scholarships. 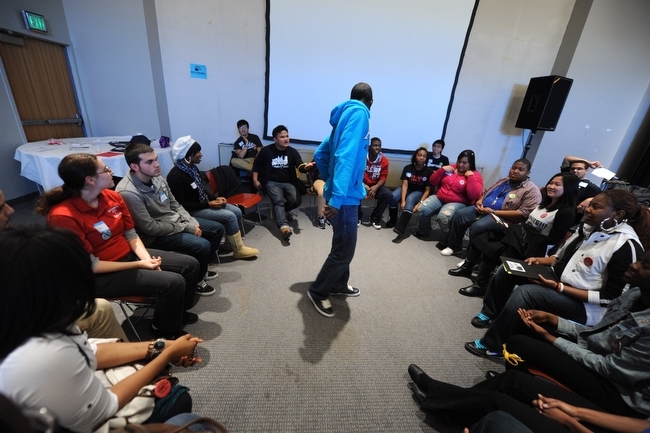 Citywide Meetings are a weekly space for students from across the city to learn and work together. We learn about issues like racism, sexism and poverty. We participate in fun activities to learn the skills it takes to be a leader. We also work on upcoming events and campaigns. Learn more. By making media we learn about self-exploration and identity. 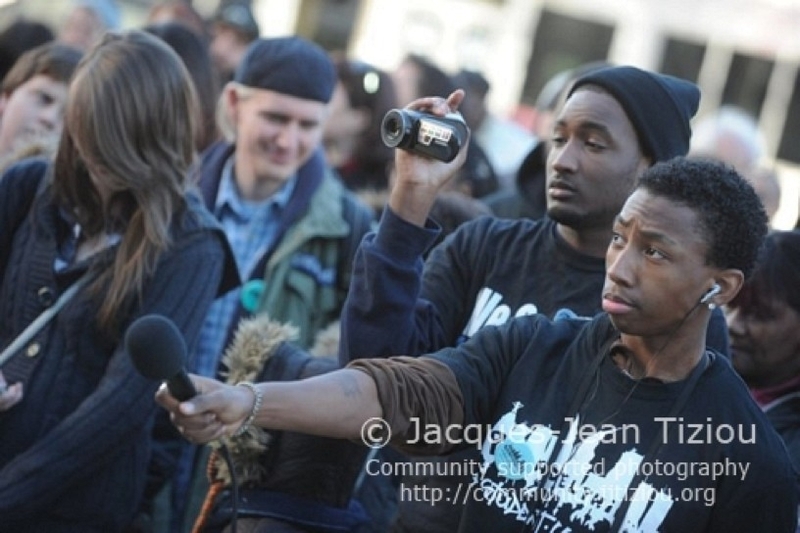 Media making is a tool for critical thinking and community engagement. Because mainstream media generally excludes the voices of young people we make our own radio pieces, newsletter and music to ensure that our stories are told and our voices are heard. Learn more. 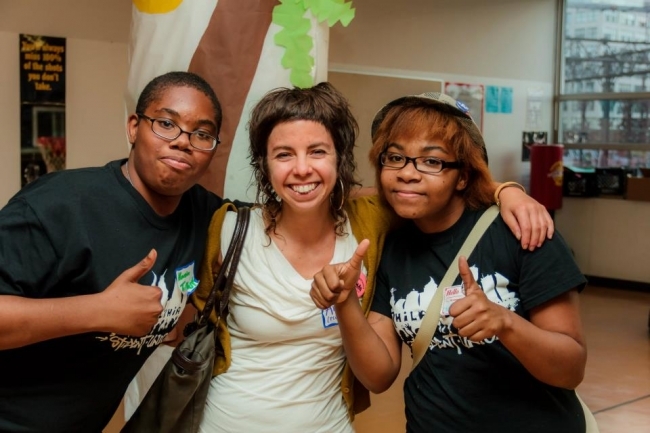 Our summer program Building A Youth Movement (BAYM) was started in 2002 by high school students. BAYM is either one or two weeks long. We learn and practice leadership skills, make media and learn about important issues facing our community. Learn more.